VIP Business Solutions, LLC. has provided professional web application design and hosting using Open Source technologies since 2000. Whether you're a brick & mortar store ready to expand onto the web, a professional looking to attract clients, or have a specific custom web application in mind, VIP has a solution for you! VIP Business Solutions, LLC. is a premium provider of web development and hosting services, specializing in online E-Commerce, Shopping Carts, responsive design websites, and other dynamic web applications. 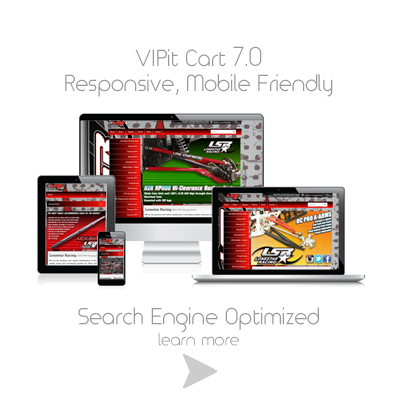 VIPit Cart 7.0 is our all-new Responsive shopping cart design framework built with Open Source technologies. VIPit Cart 7 allows a single site design to intelligently scale to any size screen from large desktop screens to small phone screens. Like all versions of VIPit Cart, it includes functions that automatically optimize the site for Search Engine friendliness by distilling keyword content from the products you add to the site so that your products are included in search results quickly. VIP Business Solutions, LLC. welcomes you. VIP Business Solutions, LLC. provides its service to you, subject to the following Terms of Service ("TOS"), which may be updated by us from time to time without notice to you. You can review the most current version of the TOS at any time at: http://vipit.net. 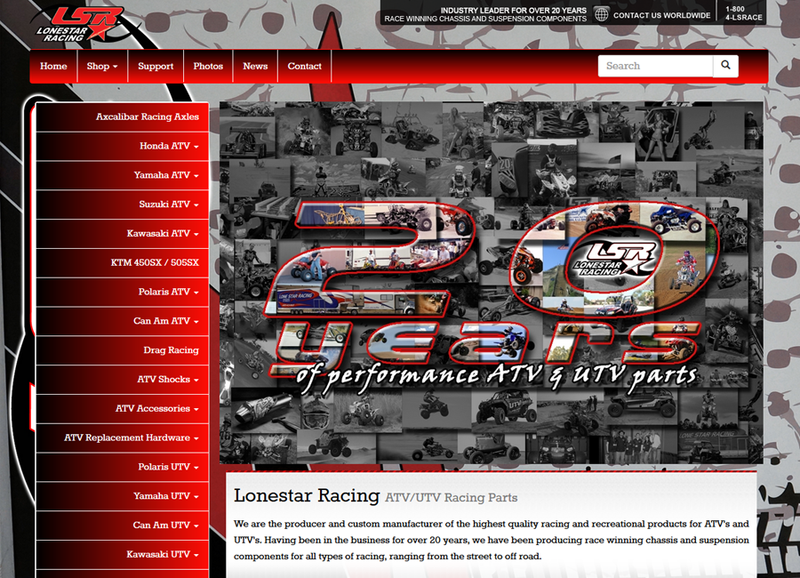 In addition, when using particular VIP Business Solutions, LLC. owned or operated services, you and VIP Business Solutions, LLC. shall be subject to any posted guidelines or rules applicable to such services which may be posted from time to time. VIP Business Solutions, LLC. 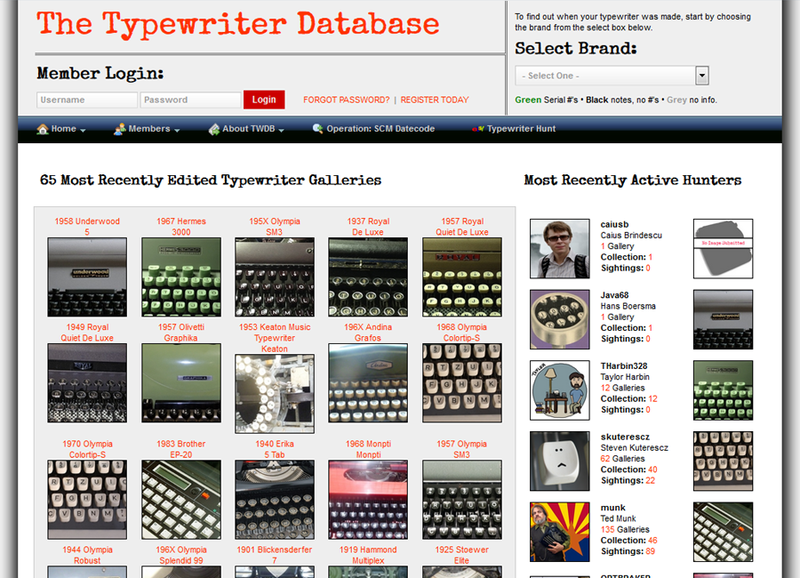 provides users with access to a rich collection of resources, including various communications tools, forums, shopping services, search services, personalized content, etc. You also understand and agree that the Service may include advertisements and that these advertisements are necessary for VIP Business Solutions, LLC. to provide the Service. You also understand and agree that the Service may include certain communications from VIP Business Solutions, LLC., such as service announcements, administrative messages and the VIP Business Solutions, LLC. Newsletter, and that these communications are considered part of VIP Business Solutions, LLC. membership and you will not be able to opt out of receiving them. Unless explicitly stated otherwise, any new features that augment or enhance the current Service. You understand and agree that the Service is provided "AS-IS" and that VIP Business Solutions, LLC. assumes no responsibility for the timeliness, deletion, mis-delivery or failure to store any user communications or personalization settings. You are responsible for obtaining access to the Service and that access may involve third party fees (such as Internet service provider or airtime charges). You are responsible for those fees, including those fees associated with the display or delivery of advertisements. In addition, you must provide and are responsible for all equipment necessary to access the Service. Registration Data and certain other information about you is not sold to any third party vendors and is only used in the management of your services. You understand that all information, data, text, software, music, sound, photographs, graphics, video, messages or other materials ("Content"), whether publicly posted or privately transmitted, are the sole responsibility of the person from which such Content originated. This means that you, and not VIP Business Solutions, LLC., are entirely responsible for all Content that you upload, post, email, transmit or otherwise make available via the Service. VIP Business Solutions, LLC. does not control the Content posted via the Service and, as such, does not guarantee the accuracy, integrity or quality of such Content. You understand that by using the Service, you may be exposed to Content that is offensive, indecent or objectionable. Under no circumstances will VIP Business Solutions, LLC. be liable in any way for any Content, including, but not limited to, for any errors or omissions in any Content, or for any loss or damage of any kind incurred as a result of the use of any Content posted, emailed, transmitted or otherwise made available via the Service. You acknowledge that VIP Business Solutions, LLC. may or may not pre-screen Content, but that VIP Business Solutions, LLC. and its designees shall have the right (but not the obligation) in their sole discretion to pre-screen, refuse, or move any Content that is available via the Service. Without limiting the foregoing, VIP Business Solutions, LLC. and its designees shall have the right to remove any Content that violates the TOS or is otherwise objectionable. You agree that you must evaluate, and bear all risks associated with, the use of any Content, including any reliance on the accuracy, completeness, or usefulness of such Content. In this regard, you acknowledge that you may not rely on any Content created by VIP Business Solutions, LLC. or submitted to VIP Business Solutions, LLC., including without limitation information in VIP Business Solutions, LLC. Message Boards, and in all other parts of the Service. You acknowledge, consent and agree that VIP Business Solutions, LLC. may access, preserve, and disclose your account information and Content if required to do so by law or in a good faith belief that such access preservation or disclosure is reasonably necessary to: (a) comply with legal process; (b) enforce the TOS; (c) respond to claims that any Content violates the rights of third-parties; (d) respond to your requests for customer service; or (e) protect the rights, property, or personal safety of VIP Business Solutions, LLC., its users and the public. You understand that the Service and software embodied within the Service may include security components that permit digital materials to be protected, and use of these materials is subject to usage rules set by VIP Business Solutions, LLC. and/or content providers who provide content to the Service. You may not attempt to override or circumvent any of the usage rules embedded into the Service. Any unauthorized reproduction, publication, further distribution or public exhibition of the materials provided on the Service, in whole or in part, is strictly prohibited. With respect to Content you submit or make available for inclusion on publicly accessible areas of VIP Business Solutions, LLC. Groups, the license to use, distribute, reproduce, modify, adapt, publicly perform and publicly display such Content on the Service solely for the purposes of providing and promoting the specific VIP Business Solutions, LLC. Group to which such Content was submitted or made available. This license exists only for as long as you elect to continue to include such Content on the Service and will terminate at the time you remove or VIP Business Solutions, LLC. removes such Content from the Service. With respect to photos, graphics, audio or video you submit or make available for inclusion on publicly accessible area of the Service other than VIP Business Solutions, LLC. Groups, the license to use, distribute, reproduce, modify, adapt, publicly perform and publicly display such Content on the Service solely for the purpose for which such Content was submitted or made available. This license exists only for as long as you elect to continue to include such Content on the Service and will terminate at the time you remove or VIP Business Solutions, LLC. removes such Content from the Service. With respect to Content other than photos, graphics, audio or video you submit or make available for inclusion on publicly accessible areas of the Service other than VIP Business Solutions, LLC. Groups, the perpetual, irrevocable and fully sublicensable license to use, distribute, reproduce, modify, adapt, publish, translate, publicly perform and publicly display such Content (in whole or in part) and to incorporate such Content into other works in any format or medium now known or later developed. "Publicly accessible" areas of the Service are those areas of the VIP Business Solutions, LLC. network of properties that are intended by VIP Business Solutions, LLC. to be available to the general public. By way of example, publicly accessible areas of the Service would include VIP Business Solutions, LLC. Message Boards and portions of VIP Business Solutions, LLC. 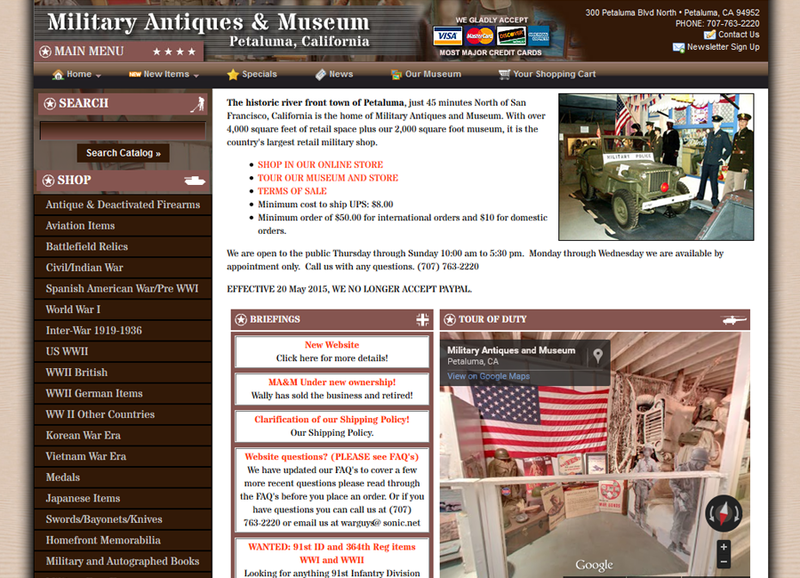 Groups, Photos and Briefcase that are open to both members and visitors. However, publicly accessible areas of the Service would not include portions of VIP Business Solutions, LLC. Groups that are limited to members, VIP Business Solutions, LLC. services intended for private communication such as VIP Business Solutions, LLC. Mail or VIP Business Solutions, LLC. Messenger, or areas off of the VIP Business Solutions, LLC. network of properties such as portions of World Wide Web sites that are accessible through via hypertext or other links but are not hosted or served by VIP Business Solutions, LLC..
You agree to indemnify and hold VIP Business Solutions, LLC., and its subsidiaries, affiliates, officers, agents, co-branders or other partners, and employees, harmless from any claim or demand, including reasonable attorneys' fees, made by any third party due to or arising out of Content you submit, post, transmit or make available through the Service, your use of the Service, your connection to the Service, your violation of the TOS, or your violation of any rights of another. You agree not to reproduce, duplicate, copy, sell, trade, resell or exploit for any commercial purposes, any portion of the Service (including your VIP Business Solutions, LLC. I.D. ), use of the Service, or access to the Service. You acknowledge that VIP Business Solutions, LLC. may establish general practices and limits concerning use of the Service, including without limitation the maximum number of days that email messages, message board postings or other uploaded Content will be retained by the Service, the maximum number of email messages that may be sent from or received by an account on the Service, the maximum size of any email message that may be sent from or received by an account on the Service, the maximum disk space that will be allotted on VIP Business Solutions, LLC. 's servers on your behalf, and the maximum number of times (and the maximum duration for which) you may access the Service in a given period of time. You agree that VIP Business Solutions, LLC. has no responsibility or liability for the deletion or failure to store any messages and other communications or other Content maintained or transmitted by the Service. You acknowledge that VIP Business Solutions, LLC. reserves the right to log off accounts that are inactive for an extended period of time. You further acknowledge that VIP Business Solutions, LLC. reserves the right to modify these general practices and limits from time to time. VIP Business Solutions, LLC. reserves the right at any time and from time to time to modify or discontinue, temporarily or permanently, the Service (or any part thereof) with or without notice. You agree that VIP Business Solutions, LLC. shall not be liable to you or to any third party for any modification, suspension or discontinuance of the Service. You agree that VIP Business Solutions, LLC. may, under certain circumstances and without prior notice, immediately terminate your VIP Business Solutions, LLC. account, any associated email address, and access to the Service. Cause for such termination shall include, but not be limited to, (a) breaches or violations of the TOS or other incorporated agreements or guidelines, (b) requests by law enforcement or other government agencies, (c) a request by you (self-initiated account deletions), (d) discontinuance or material modification to the Service (or any part thereof), (e) unexpected technical or security issues or problems, (f) extended periods of inactivity, (g) you have engaged in fraudulent or illegal activities, and/or (h) nonpayment of any fees owed by you in connection with the Services. Termination of your VIP Business Solutions, LLC. account includes (a) removal of access to all offerings within the Service, including but not limited to VIP Business Solutions, LLC. Mail, Groups, Messenger, Chat, Domains, Personals, Auctions, Message Boards, Greetings, Alerts and Games, (b) deletion of your password and all related information, files and content associated with or inside your account (or any part thereof), and (c) barring further use of the Service. Further, you agree that all terminations for cause shall be made in VIP Business Solutions, LLC. 's sole discretion and that VIP Business Solutions, LLC. shall not be liable to you or any third-party for any termination of your account, any associated email address, or access to the Service. Your correspondence or business dealings with, or participation in promotions of, advertisers found on or through the Service, including payment and delivery of related goods or services, and any other terms, conditions, warranties or representations associated with such dealings, are solely between you and such advertiser. You agree that VIP Business Solutions, LLC. shall not be responsible or liable for any loss or damage of any sort incurred as the result of any such dealings or as the result of the presence of such advertisers on the Service. The Service may provide, or third parties may provide, links to other World Wide Web sites or resources. Because VIP Business Solutions, LLC. has no control over such sites and resources, you acknowledge and agree that VIP Business Solutions, LLC. is not responsible for the availability of such external sites or resources, and does not endorse and is not responsible or liable for any Content, advertising, products, or other materials on or available from such sites or resources. You further acknowledge and agree that VIP Business Solutions, LLC. shall not be responsible or liable, directly or indirectly, for any damage or loss caused or alleged to be caused by or in connection with use of or reliance on any such Content, goods or services available on or through any such site or resource. You acknowledge and agree that the Service and any necessary software used in connection with the Service ("Software") contain proprietary and confidential information that is protected by applicable intellectual property and other laws. You further acknowledge and agree that Content contained in sponsor advertisements or information presented to you through the Service or advertisers is protected by copyrights, trademarks, service marks, patents or other proprietary rights and laws. Except as expressly authorized by VIP Business Solutions, LLC. or advertisers, you agree not to modify, rent, lease, loan, sell, distribute or create derivative works based on the Service or the Software, in whole or in part. VIP Business Solutions, LLC. grants you a personal, non-transferable and non-exclusive right and license to use the object code of its Software on a single computer; provided that you do not (and do not allow any third party to) copy, modify, create a derivative work of, reverse engineer, reverse assemble or otherwise attempt to discover any source code, sell, assign, sublicense, grant a security interest in or otherwise transfer any right in the Software. You agree not to modify the Software in any manner or form, or to use modified versions of the Software, including (without limitation) for the purpose of obtaining unauthorized access to the Service. You agree not to access the Service by any means other than through the interface that is provided by VIP Business Solutions, LLC. for use in accessing the Service. YOUR USE OF THE SERVICE IS AT YOUR SOLE RISK. THE SERVICE IS PROVIDED ON AN "AS IS" AND "AS AVAILABLE" BASIS. VIP Business Solutions, LLC. EXPRESSLY DISCLAIMS ALL WARRANTIES OF ANY KIND, WHETHER EXPRESS OR IMPLIED, INCLUDING, BUT NOT LIMITED TO THE IMPLIED WARRANTIES OF MERCHANTABILITY, FITNESS FOR A PARTICULAR PURPOSE AND NON-INFRINGEMENT. VIP Business Solutions, LLC. MAKES NO WARRANTY THAT (i) THE SERVICE WILL MEET YOUR REQUIREMENTS, (ii) THE SERVICE WILL BE UNINTERRUPTED, TIMELY, SECURE, OR ERROR-FREE, (iii) THE RESULTS THAT MAY BE OBTAINED FROM THE USE OF THE SERVICE WILL BE ACCURATE OR RELIABLE, (iv) THE QUALITY OF ANY PRODUCTS, SERVICES, INFORMATION, OR OTHER MATERIAL PURCHASED OR OBTAINED BY YOU THROUGH THE SERVICE WILL MEET YOUR EXPECTATIONS, AND (V) ANY ERRORS IN THE SOFTWARE WILL BE CORRECTED. NO ADVICE OR INFORMATION, WHETHER ORAL OR WRITTEN, OBTAINED BY YOU FROM VIP Business Solutions, LLC. OR THROUGH OR FROM THE SERVICE SHALL CREATE ANY WARRANTY NOT EXPRESSLY STATED IN THE TOS. A SMALL PERCENTAGE OF USERS MAY EXPERIENCE EPILEPTIC SEIZURES WHEN EXPOSED TO CERTAIN LIGHT PATTERNS OR BACKGROUNDS ON A COMPUTER SCREEN OR WHILE USING THE SERVICE. CERTAIN CONDITIONS MAY INDUCE PREVIOUSLY UNDETECTED EPILEPTIC SYMPTOMS EVEN IN USERS WHO HAVE NO HISTORY OF PRIOR SEIZURES OR EPILEPSY. IF YOU, OR ANYONE IN YOUR FAMILY, HAVE AN EPILEPTIC CONDITION, CONSULT YOUR PHYSICIAN PRIOR TO USING THE SERVICE. IMMEDIATELY DISCONTINUE USE OF THE SERVICE AND CONSULT YOUR PHYSICIAN IF YOU EXPERIENCE ANY OF THE FOLLOWING SYMPTOMS WHILE USING THE SERVICE - DIZZINESS, ALTERED VISION, EYE OR MUSCLE TWITCHES, LOSS OF AWARENESS, DISORIENTATION, ANY INVOLUNTARY MOVEMENT, OR CONVULSIONS. YOU EXPRESSLY UNDERSTAND AND AGREE THAT VIP Business Solutions, LLC. SHALL NOT BE LIABLE TO YOU FOR ANY DIRECT, INDIRECT, INCIDENTAL, SPECIAL, CONSEQUENTIAL OR EXEMPLARY DAMAGES, INCLUDING BUT NOT LIMITED TO, DAMAGES FOR LOSS OF PROFITS, GOODWILL, USE, DATA OR OTHER INTANGIBLE LOSSES (EVEN IF VIP Business Solutions, LLC. HAS BEEN ADVISED OF THE POSSIBILITY OF SUCH DAMAGES), RESULTING FROM: (i) THE USE OR THE INABILITY TO USE THE SERVICE; (ii) THE COST OF PROCUREMENT OF SUBSTITUTE GOODS AND SERVICES RESULTING FROM ANY GOODS, DATA, INFORMATION OR SERVICES PURCHASED OR OBTAINED OR MESSAGES RECEIVED OR TRANSACTIONS ENTERED INTO THROUGH OR FROM THE SERVICE; (iii) UNAUTHORIZED ACCESS TO OR ALTERATION OF YOUR TRANSMISSIONS OR DATA; (iv) STATEMENTS OR CONDUCT OF ANY THIRD PARTY ON THE SERVICE; OR (v) ANY OTHER MATTER RELATING TO THE SERVICE. If you intend to create or join any service, receive or request any news, messages, alerts or other information from the Service concerning companies, stock quotes, investments or securities, please read the above Sections 17 and 18 again. They go doubly for you. In addition, for this type of information particularly, the phrase "Let the investor beware" is apt. The Service is provided for informational purposes only, and no Content included in the Service is intended for trading or investing purposes. VIP Business Solutions, LLC. and its licensors shall not be responsible or liable for the accuracy, usefulness or availability of any information transmitted or made available via the Service, and shall not be responsible or liable for any trading or investment decisions made based on such information. VIP Business Solutions, LLC. may provide you with notices, including those regarding changes to the TOS, by either email, regular mail, or postings on the Service. Entire Agreement. The TOS constitutes the entire agreement between you and VIP Business Solutions, LLC. and governs your use of the Service, superseding any prior agreements between you and VIP Business Solutions, LLC. with respect to the Service. You also may be subject to additional terms and conditions that may apply when you use or purchase certain other VIP Business Solutions, LLC. services, affiliate services, third-party content, or third-party software. Choice of Law and Forum. The TOS and the relationship between you and VIP Business Solutions, LLC. shall be governed by the laws of the State of Arizona without regard to its conflict of law provisions. You and VIP Business Solutions, LLC. agree to submit to the personal and exclusive jurisdiction of the courts located within the county of Maricopa, Arizona. Waiver and Severability of Terms. The failure of VIP Business Solutions, LLC. to exercise or enforce any right or provision of the TOS shall not constitute a waiver of such right or provision. If any provision of the TOS is found by a court of competent jurisdiction to be invalid, the parties nevertheless agree that the court should endeavor to give effect to the parties' intentions as reflected in the provision, and the other provisions of the TOS remain in full force and effect. No Right of Survivorship and Non-Transferability. You agree that your VIP Business Solutions, LLC. account is non-transferable and any rights to your VIP Business Solutions, LLC. I.D. or contents within your account terminate upon your death. Upon receipt of a copy of a death certificate, your account may be terminated and all contents therein permanently deleted. Please report any violations of the TOS to our Customer Care. Payment of your hosting, technical services, or other charges and any subsequent billing acknowledges your acceptance of these terms. These terms are subject to change without prior notice. While we will deliver notice of changes or updates to these policies, it is your responsibility to periodically check this page for any updates or changes. Accounts, whether web hosting, services, or maintenance, are subject to the below terms. Invoices for web hosting are issued the FIRST DAY of the month preceding the service month. Invoices for design, web site maintenance and other non-hosting services are 50% down and 50% on completion of the work or service. Web hosting is a PRE-PAID service. Payment for all services are net due upon receipt. Payments made by check will not be credited to your account until check has cleared and been confirmed. Payments not received by due date will have a 5% late charge, with a minimum charge of $1.95, added to unpaid balance for each billing period payment is not received . Hosting billing cycle (after first due date) is 30 days, all others are due on receipt. Hosting accounts not paid in full by the start of business on the 7th day of the service month will have their ftp, web site & email services suspended until full payment plus late charges is received. Past due maintenance accounts will have work removed from their web site if payment is not received within 15 days of work completion. A $25 fee will be charged to reconnect suspended hosting services. Full payment of past due balance and reconnect fee are due before site is reconnected. Full payment of past due maintenance account is required to restore updated pages. Hosting accounts not paid in full within 30 days of original due date will have all services terminated . Termination of service does not relieve you from debts incurred while your site is/was active on our DNS (domain name servers). A total reconnection fee of $40.00 plus past due balance and late charges will be required to reconnect terminated services Reconnection will be at the discretion of VIP Business Solutions, LLC.. We reserve the right to refuse service for non-payment. Accounts 60 days or more past due will be turned over for collection. VIP Business Solutions, LLC. reserves the right to refuse web host transfer assistance if unpaid past due balance exceeds 30 days. VIP Business Solutions, LLC. reserves the right to discontinue all services to any account that has had three or more late payments in any 12-month period. VIP Business Solutions, LLC. reserves the right to refuse reconnection of terminated services. Refunds made on hosting pre-payments for reason of domain hosting transfer ONLY and will be prorated, based on a standard monthly charge, less a $25 service charge. Refunds will not be made in the case of web site termination for violation(s) of services. No refunds will be made in amounts less than $25.00. Set up fees and domain registration or renewal fees are non-refundable. 1. Client agrees to a twelve (12) month contract, beginning upon VIP Business Solutions, LLC. 's receipt of payment either by PayPal (account: sales@vipit.net) services, on the www.vipit.net web site, by postal mail, or direct payment. Client agrees to pay VIP Business Solutions, LLC. for services rendered pursuant to the charges specified on the order form. In the event of early cancellation, the client shall receive a full pro-rated refund for the remainder of their hosting period. The client will NOT receive a refund should the account be terminated for abuse as defined in this agreement. 2. One year payment option: First twelve (12) months payment plus any setup charges shall be due before account is setup. 3. This agreement will automatically renew for successive twelve (12) month periods unless cancelled in writing thirty (30) days prior to the renewal date. Client will receive an invoice for charges and payment which is due upon receipt. VIP Business Solutions, LLC. shall not be liable for any taxes or other fees to be paid in accordance with or related to purchases made from Client or VIP Business Solutions, LLC. 's server. Client agrees to take full responsibility for all taxes and fees of any nature associated with such products sold. 1. Client will provide VIP Business Solutions, LLC. with material and data in a condition that is "server-ready", which is in a form requiring no additional manipulation on the part of VIP Business Solutions, LLC.. VIP Business Solutions, LLC. 's all make no effort to validate this information for content, correctness or usability. 2. VIP Business Solutions, LLC. will exercise no control whatsoever over the content of the information passing through the network. VIP Business Solutions, LLC. makes no warranties or representations of any kind, whether expressed or implied for the service it is providing. VIP Business Solutions, LLC. so disclaims any warranty of merchant-ability or fitness for particular purpose and will not be responsible for any damages that may be suffered by the Client, including loss of data resulting from delays, non-deliveries or service interruptions by any cause or errors or omissions of the Client. Use of any information obtained by way of VIP Business Solutions, LLC. is at the Client's own risk, and VIP Business Solutions, LLC. specifically denies any responsibility for the accuracy or quality of information obtained through its services. Connection speed represents the speed of a connection to and do not represent guarantees of available end to end bandwidth. VIP Business Solutions, LLC. expressly limits its damages to the Client for any non-accessibility time or other down time to the pro-rata monthly charge during the system unavailability. VIP Business Solutions, LLC. specifically denies any responsibilities for any damages arising as a consequence of such unavailability. In the event that this material is not "Server-ready", VIP Business Solutions, LLC. may, at its option and at any time, reject this material, including but not limited to after it has been put on VIP Business Solutions, LLC. 's Server. VIP Business Solutions, LLC. agrees to notify Client immediately of its refusal of the material and afford Client the opportunity to amend or modify the material to satisfy the needs and/or requirements of VIP Business Solutions, LLC.. If the Client fails to modify the material, as directed by VIP Business Solutions, LLC., within a reasonable period of time, which shall be determined between the parties themselves, the Agreement shall be deemed to be terminated. Client warrants that it has the right to use the applicable trademarks, if any, and grants VIP Business Solutions, LLC. the right to use such trademarks in connection with VIP Business Solutions, LLC. 's Server service. UN-MONITORED TRAFFIC does not apply to any domain account consuming 10% or more of systems resources. Following are a list of sites that will often require more than 10% of our systems resources: Multiple domains residing at a single IP address, domains with archives or galleries, (i.e. .gif, .jpg, .exe, .zip, .tar, etc. ), and domain accounts offering download files. These include spamming (sending unsolicited advertising to those with which the customer has no existing business relationship, posting off-topic advertising in newsgroups); spoofing (using a return email address which is not the valid reply address of the sender or sending an email message which does not contain enough information to enable the recipient to identify the party who is really sending the message; passive spamming (promoting a web site hosted by VIP Business Solutions, LLC. by spamming from some other source), trolling (posting controversial messages in newsgroups to generate responses), mail bombing (inundating a user with email without any serious intent to correspond), generating a higher volume of outgoing mail than a normal user (10% or more of available system resources), and subscribing someone else to an electronic mailing list without that person's permission. A message is considered unsolicited if it is posted in violation of a newsgroup charter or sent to a recipient who has not requested the message. Making an email address available to the public does not constitute a request to receive messages. Distribution of mass emailing programs is also prohibited. All recipients on a mailing list must have personally subscribed. Mailing lists may not be used to distribute unsolicited email. Any customer repeatedly "mailbombed" or that attracts such behavior will be asked to leave. If you are not sure if your actions will be in violation, please ask first (By email: support@vipit.net). Examples of unacceptable activities in this regard include posting private information about a person without their consent, infringing intellectual property rights, defaming a person or business, and knowingly making available code which will have a deleterious effect on third party computers. VIP Business Solutions, LLC. supports free speech on the Internet, and will not suspend or cancel a customer's account simply because it disagrees with the views expressed by the customer. Where there are allegations that a customer's on-line activity has violated the legal rights of a third party, VIP Business Solutions, LLC. will not substitute itself for a court of law in deciding tort claims raised by the third party. VIP Business Solutions, LLC. 's services may be used for lawful purposes only. Illegality includes but is not limited to: drug dealing; attempting without authorization to access a computer system; pirating (distributing copyrighted material in violation of copyright law, specifically MP3s, MPEG's, ROMs, and ROM emulators); gambling; schemes to defraud; trafficking in obscene material; sending a message or having content that is obscene, lewd, lascivious, filthy, or indecent with intent to annoy, abuse, threaten, or harass another person; threatening bodily harm or damage to individuals or groups; violating U.S. export restrictions; stalking; or violating other state or federal law such as the Electronic Communications Privacy Act, the Computer Fraud and Abuse Act, or the Economic Espionage Act. Linking to illegal material is also prohibited. VIP Business Solutions, LLC. reserves the right to check system files, email, and other data on our servers for illegal content and materials, or for any other reasons deemed necessary. Running programs in the background on a VIP Business Solutions, LLC. 's server or running chat rooms without VIP Business Solutions, LLC. 's prior written authorization and the like are not acceptable uses of VIP Business Solutions, LLC. 's servers. Internet Relay Chat and/or IRC bots are not acceptable uses of VIP Business Solutions, LLC. 's servers. Further, any usage of ten percent (10%) or more of our system resources is an undue burden on our system and is unacceptable. If your usage ever exceeds ten percent (10%) of system resources, you will be contacted and asked to eliminate the problem. VIP Business Solutions, LLC. reserves the right to report illegal activities to any and all regulatory, administrative, and/or governmental authorities for prosecution. Server broadcast messages or any message sent on an intrusive basis to any directly or indirectly attached network. Attempt to circumvent any user authentication or security of host, network, or account. Accessing data not intended for user. Probing the security of any network. Spawning dozens of processes. Port scans, ping floods, packet spoofing, forging router information, Denial of Service attacks, sniffers, flooding, spoofing, ping bombing, smurfs, winnuke, land, teardrop. Promulgation of viruses. IRC bots such as eggdrop or BitchX. Any activity, whether or not the intrusion results in the corruption or loss of data, will be investigated and proper action taken. The presence of any of these programs, whether or not run, will result in some action against the user up to and including termination. The customer is responsible for and must provide all telephone, computer, hardware and software equipment and services necessary to access VIP Business Solutions, LLC.. VIP Business Solutions, LLC. makes no representations, warranties or assurances that the Customer's equipment will be compatible with the VIP Business Solutions, LLC. service. VIP Business Solutions, LLC. will not manage the Client's domain name as the Client is solely responsible for the payment of all fees, both initial and maintenance, associated therewith. The client is responsible for all activity originating from the account unless proven to be a victim of outside hacking or address forgery. The client agrees that he or she has the necessary knowledge to create and maintain their web space. 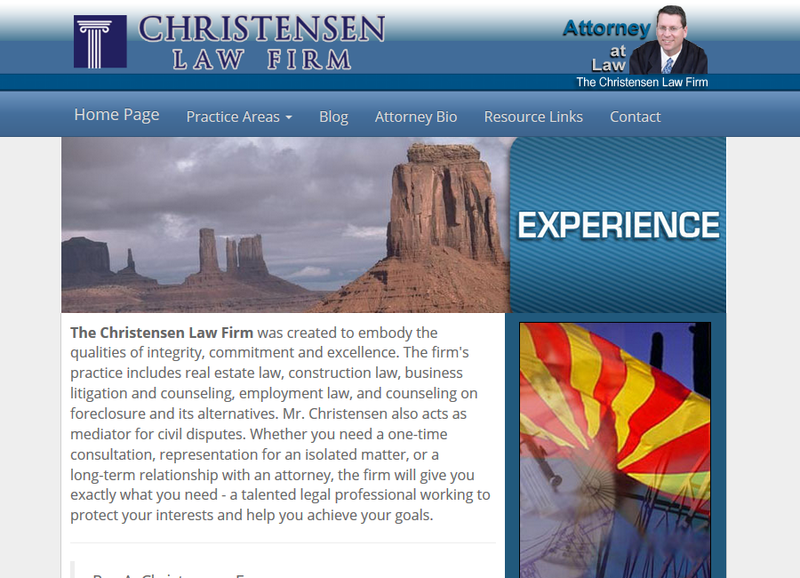 Client agrees that it is not the responsibility of VIP Business Solutions, LLC. to provide this knowledge or support outside matter specific to VIP Business Solutions, LLC. 's servers. Full backups are made weekly. No guarantees are made of any kind, either expressed or implied, as to the integrity of these backups. Backups are made for server restoration purposes only. 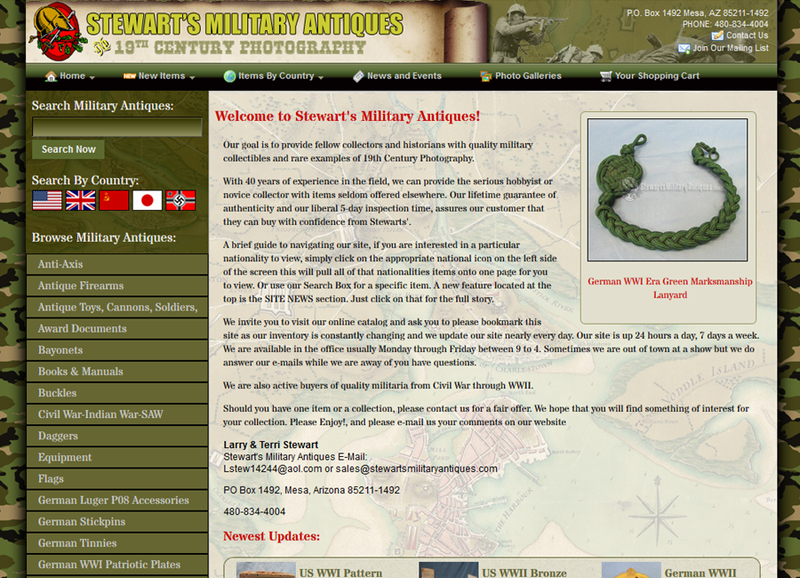 It is the clients' responsibility to maintain local copies of their web content and information. If loss of data occurs due to an error of VIP Business Solutions, LLC., VIP Business Solutions, LLC. will attempt to recover the data for no charge to the client. If data loss occurs due to negligence of client in securing their account or by an action of the client, VIP Business Solutions, LLC. will attempt without guarantee to recover the data from the most recent archive for a $75.00 fee. VIP Business Solutions, LLC. maintains control and any ownership of any and all I.P. numbers and addresses that may be assigned to the client and reserves in its sole discretion the right to change or remove any and all IP numbers and addresses. Electronic forums such as mail distribution emails and UseNet news groups all have expectations regarding subject area and appropriate etiquette for posting. Users of these forums should be considerate of the expectations and sensitivities of others on the network when posting material for electronic distribution. The practice of bulk unsolicited email or "spamming" is prohibited in conjunction with the VIP Business Solutions, LLC. servers. The network resources of VIP Business Solutions, LLC. may not be used to impersonate another person or misrepresent authorization to act on behalf of others or VIP Business Solutions, LLC.. All messages transmitted via VIP Business Solutions, LLC. should correctly identify the sender; users may not alter the attribution of origin in electronic mail messages or posting. Users must not attempt to undermine the security or integrity of computing systems or networks and must not attempt to gain unauthorized access. This Agreement may not be assigned or transferred by Client, in whole or in part, either voluntarily or by operation of law, without the prior written consent of VIP Business Solutions, LLC.. This Agreement may be terminated by either party, without cause, by giving the other party 30 days written notice. In such event, the canceling party will be required to pay to other party an amount equal to the unused portion of service excluding any hosting or setup charges. Not withstanding the above, VIP Business Solutions, LLC. may terminate service under this Agreement at any time, without penalty, if the Client fails to comply with the terms of this agreement. VIP Business Solutions, LLC. shall not be responsible for any claimed damages, including incidental and consequential damages, which may arise from VIP Business Solutions, LLC. 's servers going off-line or being unavailable for any reason whatsoever. Further, VIP Business Solutions, LLC. shall not be responsible for any claimed damages, including incidental or consequential damages, resulting from the corruption or deletion of any web site from one of VIP Business Solutions, LLC. 's servers. All damages shall be limited to the immediate termination of service. 1. Client expressly agrees that use of VIP Business Solutions, LLC. 's Server is at Client's sole risk. Neither VIP Business Solutions, LLC., its employees, affiliates, agents, third party information providers, merchants, licensers or the like, warrant that VIP Business Solutions, LLC. 's Server service will not be interrupted or error free; nor do they make any warranty as to the results that may be obtained from the use of the Server service or as to the accuracy, reliability or content of any information service or merchandise contained in or provided through the VIP Business Solutions, LLC. 's server service, unless otherwise expressly stated in this Agreement. 2. Under no circumstances, including negligence, shall VIP Business Solutions, LLC., its offices, agents or any one else involved in creating, producing or distributing VIP Business Solutions, LLC. 's Server service be liable for any direct, indirect, incidental, special or consequential damages that result from the use of or inability to use the VIP Business Solutions, LLC. 's server service; or that results from mistakes, omissions, interruptions, deletion of files, errors, defects, delays In operation, or transmission or any failure of performance, whether or not limited to acts of God, communication failure, theft, destruction or unauthorized access to VIP Business Solutions, LLC. 's records, programs or services. Client hereby acknowledges that this paragraph shall apply to all content on VIP Business Solutions, LLC. 's Server service. 3. Notwithstanding the above, Client's exclusive remedies for all damages, losses and causes of actions whether in contract, tort including negligence or otherwise, shall not exceed the aggregate dollar amount which Client paid during the term of this Agreement and any reasonable attorney's fee and court costs. 4. VIP Business Solutions, LLC. shall be the sole arbiter of what is and is not a violation of these acceptable use policies. VIP Business Solutions, LLC. reserves the right to terminate an account at any time and for any reason that causes harm to any of VIP Business Solutions, LLC. 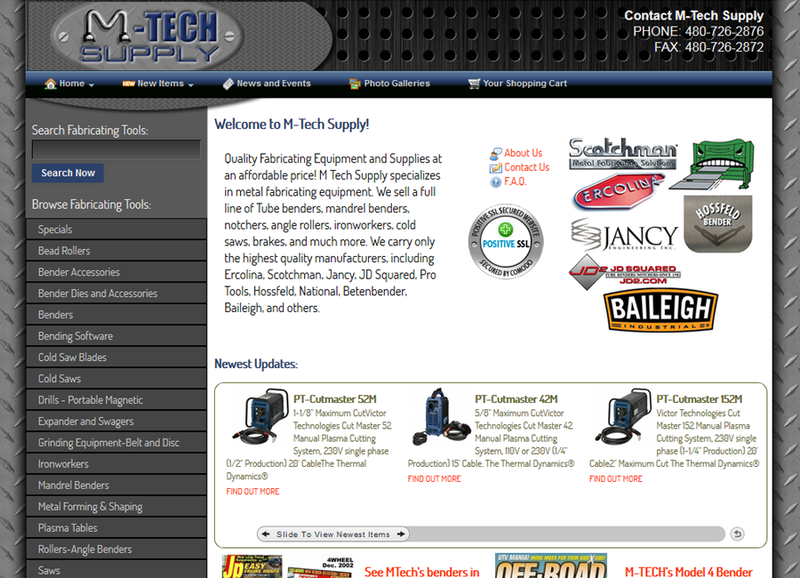 customer's web sites. VIP Business Solutions, LLC. reserves the right to delete all content and files upon termination. VIP Business Solutions, LLC. reserves the right to withhold any pre-paid funds for any site removed for violations of these policies. VIP Business Solutions, LLC. reserves the right to refuse, cancel, or suspend service at our sole discretion. No action, regardless of form, may be brought by either party more than one (1) year after the cause of action has accrued, or in the case of any action for nonpayment, more than one (1) year from the date the last payment was due. If any provision of this Agreement is invalid or unenforceable then such provision shall be curtailed and limited only to the extent necessary to bring it within legal requirements and this Agreement as so modified shall continue in full force and effect. Client may only use VIP Business Solutions, LLC. 's Server for lawful purpose. Transmission of any material in violation of any Federal, State or Local regulation is prohibited. This includes, but is not limited to copyrighted material, material legally judged to be threatening or obscene, or material protected by trade secrets. Client agrees that it shall defend, indemnify, save and hold VIP Business Solutions, LLC. harmless from any and all demands, liabilities, losses, costs and claims, including reasonable attorneys' fees, ("Liabilities") asserted against VIP Business Solutions, LLC., its agents, its customers, servants, officers and employees, that may arise or result from any service provided or performed or agreed to be performed or any product sold by Client, its agents, employees or assigns. Client agrees to defend, indemnify and hold harmless VIP Business Solutions, LLC. against Liabilities arising out of (i) any injury to person or property caused by any products sold or otherwise distributed in connection with VIP Business Solutions, LLC. 's Server; (ii) any material supplied by Client infringing or allegedly infringing on the proprietary rights of a third party; (iii) copyright infringement; and, (iv) any defective product which Client sold on VIP Business Solutions, LLC. 's server. The failure of either party to exercise any of its rights or to enforce any of the provisions of this Agreement on any occasion shall not be a waiver of such right or provision, nor affect the right of such party thereafter to enforce each and every provision of this Agreement. This Agreement constitutes the entire understanding between the parties and shall supersede all proposals or prior agreements, oral or written, and all other communications between the parties relating to the subject matter of this Agreement. Any changes or modifications thereto must be in writing and signed by both parties by their duly authorized representatives. This Agreement shall be governed and construed in accordance with the laws of the State of Arizona. VIP Business Solutions, LLC. reserves the right to change these Policies without prior notice or warning. Non-enforcement of any part of these Policies does not constitute consent.